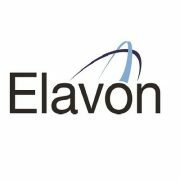 Elavon and Mastercard are partnering in an agreement to take digital payments to bank apps. Under the deal, Elavon will offer ‘Pay by Bank app’ to merchants in the UK, which allows people to use their banking app to pay for goods and services. ‘Pay by Bank app’ was created by Vocalink, a Mastercard company, and Elavon will help merchants integrate it into their checkout pages. This method of payment does not need a separate PIN, password or a card number. Transactions take place in real time and shoppers can see their account balance before making the payment. Verification is handled by the consumer’s own bank app. Elavon recently conducted a survey and identified that two-thirds of UK shoppers will abandon online transactions when the process is too difficult. The major sources of frustration range from being forced to repeat information to obligatory sign-up processes and limited payment options. Mastercard hopes this will allow it to diversify its business beyond its card network. Mastercard’s pilot trial saw consumers adopting ‘Pay by Bank app’ at scale, with over a third of a million on-boarded users.